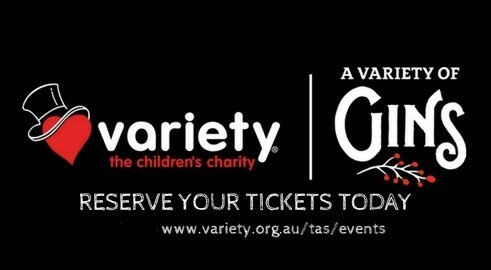 Variety Tasmania invites you to enjoy the beautiful surrounds of the Royal Tasmanian Botanical Gardens for an exquisite gin tasting experience, whilst supporting Tasmanian children in need. A Variety of Gins is a guided, progressive gin tasting experience. Your first cocktail will be from Spring Bay Distillery, in the gorgeous surrounds of the Community Garden with its views of the Gardens and the River Derwent. From there we will meander up to the Chinese Gardens for a cocktail by McHenry Distillery and then onto the picturesque Lily Pond, where you will enjoy a pink summer cocktail by Forty Spotted Gin as you watch the ducklings scoot over the water lilies. An array of delicious canapés, crafted from fresh local produce by Succulent will complement each tasting. The dress code is “Garden Party”, and as this is a non-seated event, please be prepared to walk short distances through the garden.